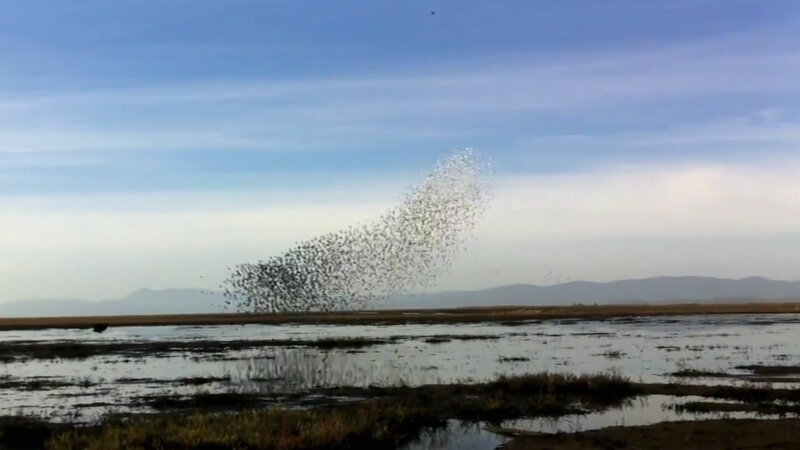 SONOMA COUNTY, Calif. (KGO) -- Incredible video captured by Audubon California shows a rare sight of shorebirds in the Sonoma Creek Marsh. Thousands of them flew together in what's called murmuration. Experts say shorebird murmuration is hardly ever spotted because this type of phenomenon is normally seen with starling birds, which are smaller and lighter.